Empower Student´s Book + Workbook. Nivel A1, B1,b1+,b2 Y C1. Empower Workbook. Nivel A1 A C1. Cambridge. Touchstone 2nd Edition Student´s Book 3. Cambridge. 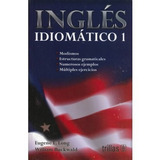 Touchstone 2nd Edition Student´s Book 2. Cambridge. Touchstone 2nd Edition Full Contact 2. Cambridge. Interchange 5th Edition Students Book Intro Al 3. Cambridge. 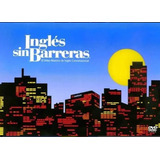 Perspectives Student´s Book Pre-intermediate. Cengage. 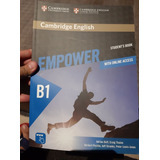 Empower Student´s Book A2. Cambridge. Touchstone 2nd Edition Full Contact 1. Cambridge. Uncover Student´s Book + Workbook. Cambridge. Interchange 5th Edition Full Contact Intro. Cambridge. Libro Touchstone Full Contact Primera Edicion Excelentes!!! Complete First 2ed. Student´s Book + Workbook. Cambridge. Touchstone 2nd Edition Full Contact 4. Cambridge. Touchstone 2nd Edition Workbook 1 Al 4. Cambridge. Websters Essential Mini Dictionary. Cambridge. Preparation For The Toefl Test. Cambridge. Touchstone 2nd Edition Full Contact 3. Cambridge. Viewpoint Student´s Book + Workbook. Cambridge. Cambridge English For Nursing. Enfermeria. Complete Pet Student's Book Without Answers. Cambridge.